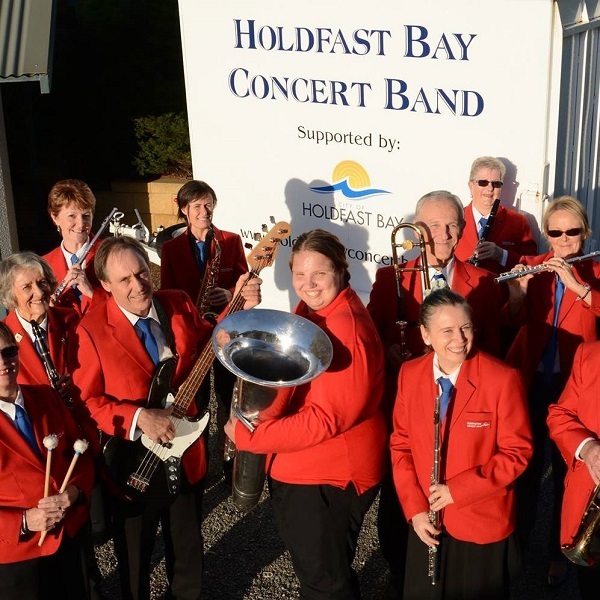 Founded in 1983, the City of Holdfast Bay Concert Band is one of South Australia's premier community concert bands. We are dedicated to providing musicians of all ages with a friendly and enthusiastic environment to express their creativity. With over forty musicians at present, we perform regularly in the Holdfast Bay district and in other areas as occasions arise. Our repertoire embraces many styles of music including Classical, Jazz, Swing, Latin and works from film and musical productions. The City of Holdfast Bay Concert Band also made its debut as a marching band in May 2009 as part of the Moonta Cornish Festival, so keep an eye out for us in local pageants at Christmas! We are a community band supported by the City of Holdfast Bay Council and financed by subscriptions, concert and marching proceeds and fundraising events.